Our BN54 series was initially designed for the security / access control industry. Nowadays they are used for a wide range of industrial applications. They come with separate load and battery circuits, and low volt disconnect is standard across all models. An isolated Common Fault Relay that will operate if any fault is found. 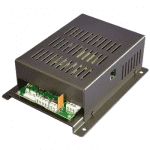 Our SR series power supply offers the option to have a communication interface to enable user monitoring of the power supply and battery parameters.With more than 6500 units sold SR100C warranties a reliable, flexible and high-quality solution to your security system or any application that requires a reliable battery backed system. 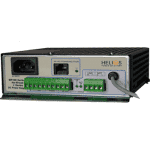 Optional communication interface allows remote monitoring & user control of BCT function.